Multi-platform ebook distribution retailer Smashwords announced on its blog yesterday that it has introduced a gifting feature that allows users to give ebooks from its catalogs as gifts simply by entering the recipient’s email address. If the recipient has a Smashwords account, clicking the hyperlink will place the ebook in the receiving user’s Smashwords library without having to enter any codes or go through the checkout process. If the recipient has no account, the email will walk them through developing an account prior to incorporating the gifted ebook into his new library. “Because Smashwords books are available in multiple ebook formats, our books are readable on any e-reading device. 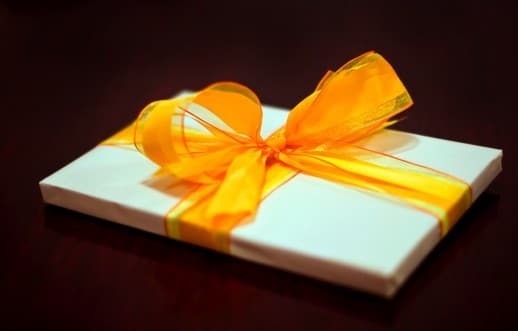 Simply click to the book you want to gift, and click the “give as gift” button. The shopping cart will ask you for their name and email address. The lucky recipient will receive an email with a hyperlink that allows them to claim their gift. If they’re already logged in to their Smashwords account, the book will appear in their Smashwords Library. If they don’t have a Smashwords account, they’ll be prompted to register. Prior to this new feature, authors were unable to purchase their own books. One advantage of the gifting option over Smashwords Coupons is that the recipient, assuming they’re already a Smashwords member, can simply click the hyperlink in the email and the book is loaded into their Smashwords Library. No purchase or checkout process necessary. In the next few weeks, we’ll add new features based on your feedback. We’ll also integrate prompts into purchase confirmation emails and review reminders so your fans are encouraged to purchase your book as a gift for their friends. Amazon introduced its own gifting button for ebooks on its book pages earlier this year, but obviously those ebooks are only compatible with Kindle devices or through the Kindle apps. By maintaining a compatibility with a huge variety of devices, Smashwords customers won’t need to remember which device their recipient friends or family members have in order to send quality ebooks as presents. Feedback on the new feature is anticipated in order to make any adjustments or improvements to the feature.